JBL ® Blown Away Professional Sound - Wavemotion S.A.
For more than 70 years, JBL® has delivered products that exemplify the technology and expertise gained through a leadership role in professional sound reproduction. The JBL® name has been synonymous with the precise, naturally articulated sound found in many of the world’s most prestigious locations, including clubs, cinemas and recording studios, and live-music reinforcement in venues ranging from concert halls to outdoor stadiums. JBL® loudspeakers are for those who won’t compromise – in the studio, at home or on the road. Today, Laptops, tablets and smartphones have revolutionized our lives, changing the way many of us spend our time, as well as where and how we listen to our music. And like all revolutions involving audio, JBL® has led the way. With award-winning self-powered speaker designs that bring movies, video games or music to life, JBL® has become the leader in personal audio solutions. 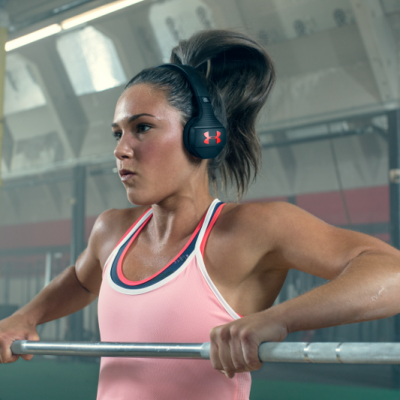 JBL® takes your listening experience to the next level. Room rocking energising music in portable enclosures that combine style, colour and modern wireless technologies, meet your lifestyle and fit in your social environment. Amplify your party, dance by the beach or relax enjoying the sunset with a JBL® music system.